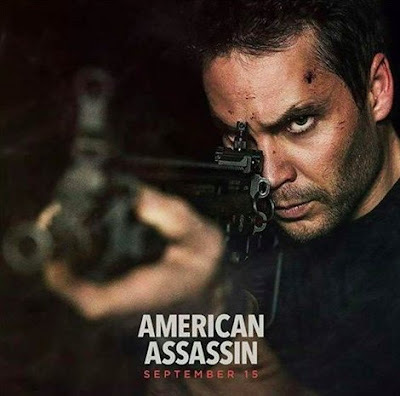 This is a promotional poster for the movie American Assassin. I'm no expert but I'm pretty sure it doesn't work like that. I may go just to see what happens when he pulls the trigger. Wow... You'd think SOMEONE on the set would be familiar enough to know how wrong that is. Don't these movies usually have a "weapons expert" on set?